decades. 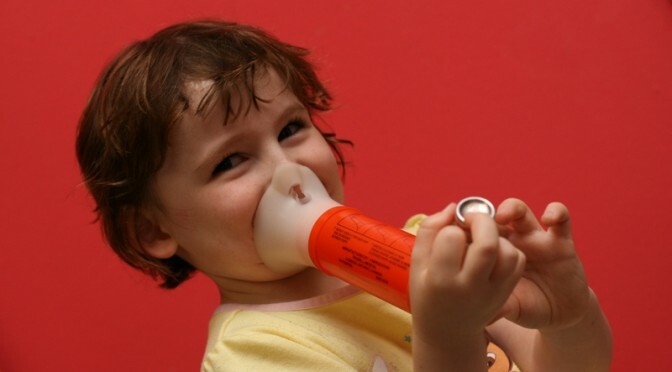 Environmental factors, such as exposure to second-hand smoke and air pollution, are understood to have influence asthma rates in children, though more recently diet has been considered to be a potential factor as well. A new study in the journal Indian Pediatrics aimed to examine whether or not diet is associated with asthma severity in Brazilian children. A total of 268 children (age 3 to 12 years) with persistent asthma were recruited for this study (between two teaching hospitals in Brazil). An additional age-matched 126 children with intermittent asthma were used as controls. 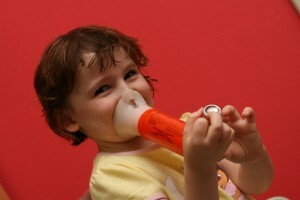 Asthma cases were categorized as mild, moderate, or severe. Dietary habits, demographic information, socioeconomic information, mother’s lifestyle habits during pregnancy, environmental allergen exposure, family medical history (pertaining to asthma and other related diseases) were collected during interviews with children and their parents. Maternal smoking during pregnancy, preterm birth, and child obesity were positively (and significantly) associated with asthma severity in children. 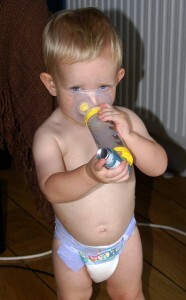 There was no association between diet and asthma severity in children. As research has shown previous, this study confirms that maternal smoking is positively associated with asthma severity in children. In other words, the more mom smoked during pregnancy, the more severe the asthma in her child. associated with asthma severity in children. However, in regards to diet, this study showed that diet type (including a Mediterranean-style diet) was not associated with asthma severity in children. There were no healthy controls (i.e. no asthma) in this study, so it can’t be said with certainty whether or not asthma prevalence in general is linked to diet, but this study does seem to show that asthma severity is not related to diet in any way. Silveira, D.H., Zhang, L., Prietsch, S.O.M., Vecchi, A.A., and Susin, L.R.O. 2015. Association between dietary habits and asthma severity in children. Indian Pediatrics 52: 25-30.